The Department of Restorative Dentistry consists of the dental disciplines of conservation, periodontology, prosthodontics, endodontics and dental implants. The service is aimed to provide a treatment service for priority groups of patients with complex restorative problems such as Head and Neck Oncology patients, Cleft Lip and Palate and Hypodontia cases as well as some aspects of treatment for patients referred by their general dental practitioners. 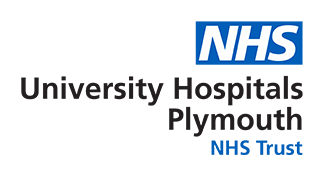 We provide comprehensive Head and Neck services and were recommended as a Head and Neck Cancer Centre for the South West by the Cancer Action Team and confirmed by the Head and Neck Cancer services peer review 2008. The Trust has a dedicated Head and Neck specialist ward for ENT, Plastics and Maxillofacial Surgery. A Prosthetics lab on site provides a broad range of reconstructive prosthetics as well as Orthodontic and Restorative dental services maximising access to this specialist area and minimising associated costs. Services are provided 08:00 – 18:00, Tuesday, Wednesday and Friday (pm).